In a few days I jump onto my first flight of 2016 and head to Johannesburg. From there I drive to Lesotho and then on horseback into the mountains to photograph for a couple NGOs working among shepherd children. This will be the first leg of a trip that’ll take me to Namibia, Cape Town, Kenya’s Maasai Mara, Zanzibar, Rajasthan, and Istanbul before returning home just over 2 months later. In my duffle bags (2), aside from trekking gear, sleepling bag, tent, etc., will be the rest of my photo gear: a Gitzo Ocean Traveler tripod, my Mindshift Filter hive with filter system, and a handheld 24-inch hexagonal softbox for my strobe. When the Lesotho assignment is over I’ll send producer/assistant/manager/friend Corwin home with my larger duffle and he’ll take the strobe, softbox, backcountry gear, and one of the harddrives with him, and Cynthia will fly in, bringing my dive mask, Sony RX100II, and underwater housing for the week diving in Zanzibar. I’d love to be able to bring my Nikon D800 and the full dive kit but it’s just too much for such a long trip. That’ll wait until I’m home to dive again with the Stellar Sea Lions here in British Columbia and then head to Socorro in June to dive with giant mantas and hammerhead sharks. The only other things we’ll bring are 2 of the Goal Zero Sherpa 100 kits to keep charging batteries for the 8 days or so that we’re in the mountains. I’ll try to remember to do an episode of my YouTube show, Vision Is Better, and walk you through some of my gear choices, particularly where dealing with power issues is concerned but I won’t post it until I’m back from Lesotho. And I’ll try to do an episode about the flash stuff, too; many of you will have heard me say how much I loathe working with artificial light, so this will either be an interesting constraint in my creative process, or I’ll be bitching (again) about how much I loathe strobes, the first chance I have to do so. I impose a new constraint on myself with each trip and this one seemed to make some sense given the possible harsh natural lighting and the focus the Lesotho assignment will have on people. 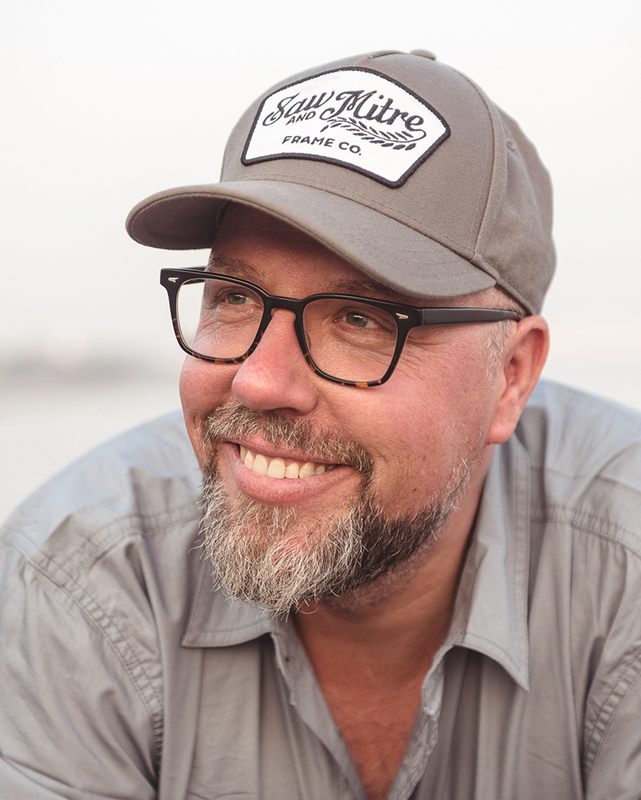 Stay tuned in the coming days – we’ll be launching After the Camera, a 20-episode video series walking you through my Vision-Driven Workflow – the simplified approach to editing, organizing, and post-production that I use for my own photographs. (Here’s a quick, 60-second rapid-fire teaser video, but don’t get too excited when it says “Available now”. It’s not. January 04 at the latest, Jan 01 or 02 at the earliest.) I’m excited about this one and a little sad I’ll be on a plane when it launches, but I’m pushing my team to squeak it out a little earlier for regular readers. As usual it’ll be on sale when it launches. After the Camera will be $30 (25% off the soon-to-be regular price of $40). I’m home for a few more days, so if you want to talk gear, the comments are open. I don’t invite you to geek-out too often, so now’s your chance. I was a bit surprised to see the G7x in your kit since you have wrote before about how you use the RX100 and how much you like it. But I was even more surprised when I read that you would also take the RX100 for underwater work. Can you explain why did you decide to take a G7x instead of the RX100 II (or even the III or IV if it would suit you better for podcast)? Thank you for sharing your adventures and pictures! Hey JG – It’s simple, i just prefer the G7x for video podcasting. I think it does a better job of the follow focus. And I really need the LCD to flip all the way up so I can see the screen and frame things up while I’m talking to the camera. The Sony RX100II doesn’t do that, only allowing the LCD to tilt to 90 degrees. But the Sony is an excellent little camera, for sure. Thanks, Sandy. Happy New Year to you! Cool stuff David 🙂 I look forward to seeing how you deal with charging all those batteries. Have you had any experience using the Fugi’s in -25 C to -35 C weather? lol thanks David. That’s cool, for me the Fugi system is a bit of a luxury anyway. I tend to drool at it when I have too much free time at the office, so the battery wondering is just wondering. I love learning from you and look forward to this new series. How would you compare the image quality of the XT1 to the Nikon and have you had any issues using Lightroom with it. Hi Jed – I love my Fuji XT1 bodies and the glass is also excellent. If I felt the Nikon had an edge over the Fuji I’d still be using Nikon. Certainly the image size from my D800 is much bigger, so I’m holding out hope the Fuji will meet us halfway and come out with the promised 24mpx camera soon. And there are still times I use the Nikons – mostly with wildlife, and underwater due to availability of larger, faster lenses and good water housings. No, I’ve had no issues with Lightroom. Please don’t fall off anything, ‘Kay?! I’m hoping my “falling off” phase of life is over. 🙂 Yes, you can use just about any flash with the Fuji, in the way I am using it. I put one radio trigger on the Fuji, and another on my strobe. Then I use the strobe manually, which is my preference. Using it like this the Nikon system, Canon, etc., should all work fine. But it’s manual only. Good luck with your travels to my neck of the world, David. Would have loved to meet you, but your itinerary looks hectic! David, if you have a spare hour or two and feel like a coffee in Cape Town, please let me know. You can even do an impromtu book-signing! David, if you have a spare hour or two and feel like a coffee in Cape Town, please let me know. You can even do an impromptu book-signing! This sounds like a great trip! Soo, looking forward to see and listen to the result. I have been a fan and keen reader of most of your material for years, all good stuff. But last year I came across one of your books that – up till then – I hadn’t read “A BEAUTIFUL ANARCHY”. A great little insightful book. But now a equipment question: I know that you are a fan of Fuji’s XT1-cameras, but what is your verdict on Sony A7R II? I am also a Nikon D800 (e) shooter, but for the last trips only brought my small Fuji X100T (which I love) and together with a wide-angle conversion lens it is near perfect. But alas, I sometimes miss the higher resolution. Also interested in your view on the TT airport essentials bag. (Commuter?) I use the Airport Int v.2.0 as my go-to-work-bag, but a bit big and heavy to carry around on longer trips. Ps. I can only assume that one of persons writing a comment here is my friend Trevor W (in Cape Town). You should really take up his offer… he is a pro-photographer as well as a very nice person. And he has a lots of contacts! Hi Jan – I love my Fujis in part because of the ergonomics. The Sony has excellent glass and a huge image size but still doesn’t feel great in my hands the way the Fuji X-T1 does. I love the manual dials for shutter, ISO, aperture, and EVC. Sony doesn’t give me that. So if it feels good, go for it. They’re great cameras. I’m not sure what kind of feedback I can give you about the Airport Essentials bag. For me it’s perfect. Its the right size/weight and the quality, as it is with all Think Tank products I’ve used, is excellent. I’ve got a lot of camera bags and for this kind of trip, the Airport Essentials is my favourite. David, I wish you a wonderful trip and still surprised on the small bag for staying out. So I will certainly check out your teaser. Travel safely and as already mentioned, don’t fall off anything. Will be very interested in your use of a strobe and your comments on it. Have a great productive trip. Do you use a digital light meter? If so, do you have a recommendation? I do! But they’re all built into my cameras. My recommendation is, um, to use one. 🙂 Actually, when photographing digitally I don’t pay much attention to light meters at all. I use them as a very rough starting point but then it’s all about the histogram for me. I expose well right, watch for highlights, and aim for the best digital negative. David, thanks for your reply! I’ve been considering a handheld digital light meter for some time now, but may explore your recommendation of the histogram. Not something that I know much about. Do you have suggestions for a primer on histograms? Between these 3 resources you should get a good sense of what it means to create the best possible digital negative that’ll give you the most data and therefore flexibility for working on it and refining the image later in Lightroom, etc. Very much looking forward to “After the Camera!” Have a great trip! Hi David…I’m curious about the Rode mic setup for video podcasts. How are you approaching this? I use a Sony PCM10 and a couple different types of mics depending on what I’m doing (natural sounds or interviews). How are you doing this? P.S., I admire your work and your willingness to present your views via your podcasts. Well done and thank you. Hey Joel – right now my approach is a bit on the simple side – video is recorded to my Canon G7x while audio is recorded to my iPhone with the Rode SmartLav. I sync the audio and video up in Screenflow. 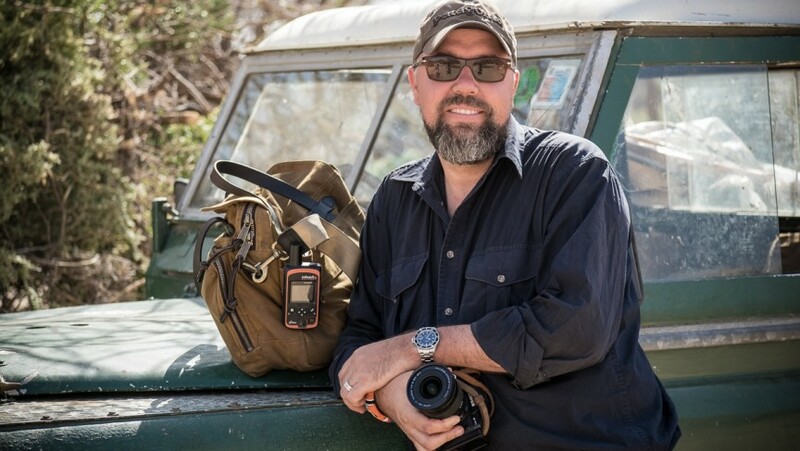 Hi David – this is not about gear, but if you make it to the coast of Namibia and would be interested in getting into the sand dunes for some amazing photography, please let me know. It would be an honor to arrange this for you ?. You got me hooked on Saddleback, but I see your need for a lightweight kit. No M this trip? I’m considering adding it to my Fuji/Nikon kit. Hopefully next time! Enjoy Sossusvlei… it’s very special. What black and white software do you use? Really. You get those stunning black and white photos with Lightroom only? I sure hope you cover that in the 4-1/2 hours of video training you have coming up. I cant wait to get it. You bet. But if you still have questions leave me a note and I’ll do a video to cover anything I didn’t cover in the After The Camera episodes. Silly question…What’s wrapped around the lens at the top left of the frame? Not silly at all. It’s a bead bracelet / bangle that was given to me by a village that adopted me in the north of Kenya (story here: https://maptia.com/davidduchemin/stories/my-name-is-akeno ) It’s one of my prized possessions and I wear it every time I return to Africa. PS. 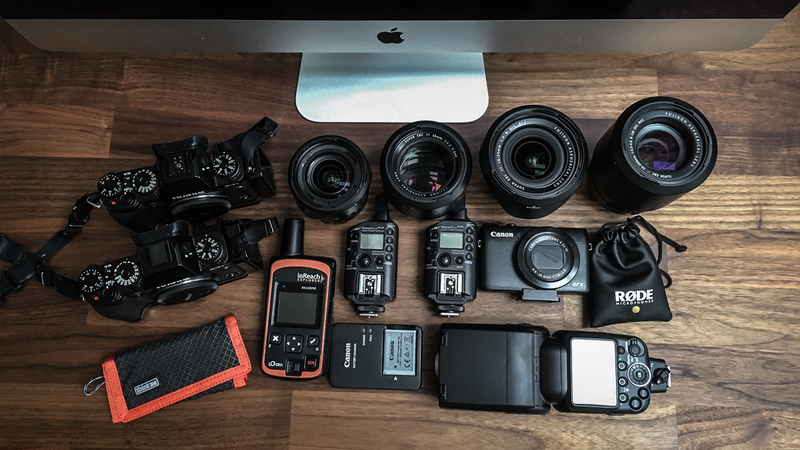 – I am kicking myself for giving up my Fuji XT1 kit. Getting ready for a 3-4 month stint around the world and was doing my pre pack…ugh. Going to have to start lifting weights before I leave to pack all my Canon gear! Aside from the long lens and small sensor…I can’t remember what possessed me to sell it!?! A question regarding your Filson bag. 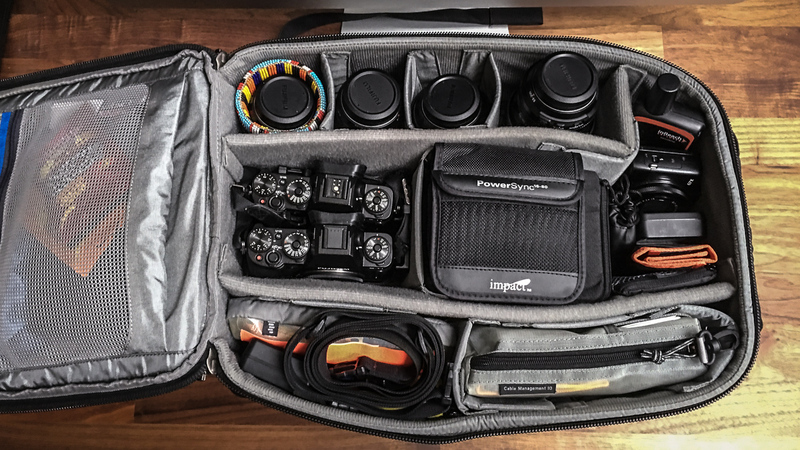 In this post you refer to it as the ’24-hour Briefcase’, but in another post ‘Q+A: Fuji X on Assignment’ (March 10th) you refer to it as a ’72-hour Briefcase’. 2) ask you about preference and if you have two different or if it is just a slip? P.s will part with 30 bucks today and purchase your latest video ‘After the camera’. Hi Jan! I knew someone was going to ask this! As far as I know the briefcase I bought was called the 72-hour Briefcase. But now I see that nowhere on the Filson.com site and the 24 Hour Tin Briefcase is all I can see. Mine looks identical to this one: http://www.filson.com/24-hour-tin-briefcase.html#196 – So I either made a mistake or the names have been changed. Most likely the former. I adore this bag. It’s really great for travel and for just walking around. My only caveat is that there is no internal organization for lenses, etc. I tend to just toss my camera in there and go, with maybe one extra lens wrapped in something. Or not. I’m not too precious about my gear. Either way I can get a couple X-T1 bodies with lenses on them in there and still have room for lots of little things. You’re right about the gear that just gets better with age. I’ve gone through a lot of bags and this one is going to stick around a long, long time. Thanks for your support. Hope this helps! Yes, they look so similar. I guess I have to check with Filson. Ps. I agree when it comes to handle or taking care of your equipment. When using my domke-bags, I usually stuff a down-vest in the bottom and the cameras on top. No fuss. I took out the insert long ago. Lenses (I typically never use more than a wide-angle, a 50 and 85 primes), well, one is on the camera and the two are just loose in the bag, nestled around something soft. I am currently serving as a volunteer in the Peace Corps in Mokhotlong, Lesotho. I really enjoy your work and I look forward to your trip. Just a heads up we are experiencing one of the worst droughts in decades. As a result, shepard boys are having to travel higher up into the mountains in order to find suitable grazing. This can be a real burden on me when hauling a Canon 6D kit on foot, which leads me to my question. Do you feel the Fuji X100T would be a reliable everyday outdoor camera? I would not be exposing it to rain but we have plenty of dust. I’m not looking for a DSLR replacement but more of something I could take along instead as well as travel with. I use a lot of prime lenses so I feel a fixed lens would not deter my style. Of all of the countries I’ve visited, Lesotho is one of my favorites. The landscape is beautiful and the people are friendly and incredibly generous. Just remember “Ke kopa ho u nka foto” or roughly in English “May I please take your photograph” and you will most likely receive a smile and a nod. The Basotho love having their pictures taken. Good luck and God bless. Thanks for this, Joel. Turns out I injured my back and that’s prevented me from getting on a plane. So Lesotho isn’t going to happen for me this time. I’m gutted about it, but the decision was taken out of my hands by near paralysis for a couple days. On the mend now. Anyways, on to the X100T. This camera gets tonnes of good reviews. I haven’t used it. It is NOT weather sealed at this point. But would I chance it? Probably. Even non-sealed cameras seem to serve pretty well these days. But my reservation would be the inability to clean the sensor if I had to. If I were in your shoes, I’d buy an X-T1, choose one prime lens or even a decent zoom and just never take it off. Of course there are other considerations, so this might be advice you can’t use, but for me a sealed X-T1 body with even their kit 18-55 lens would serve me really well. Does this help at all or just give you more to chew on? I’m happy to bounce this around a bit if you have more questions. Sorry to but in. (Is this a private conversation?). In my work as a professional photographer I use Nikon D800E + primes, but for every trip I make I try to bring something different. If you are interested you can check my websites: http://www.janmalmstromphotography.com and http://www.janmalmstrom.com. I have hauled everything from Mamyia RZ67 (a tank!) to Hasselblads (beautiful) to Nikons to Olympus’ to iPhones. But on my recent trips to Paris, Prag and Cambridge, I took only my little x100T. I do bring an extra wide-angle converter (no need to de-attached anything from the body…). In a few days I will go to Nice, France and then bring this Fuji (of course) but this time with a slimmed down Nikon D800E + a pancake 50. That’s it. Not a private conversation at all. I appreciate your input, Thanks. I’ve considered a quality mirrorless system in the past but price was always an issue. You may have just helped me spend my tax return. Thanks for the reply and I hope you heal up soon. First. Sorry for strange comments. I am so used to click ‘return’ so previous comment was sent without being finished. Second. I also noticed that the link to my Fuji X100T-sample page was wrong, here is the correct one: http://x100t.photojan.se/#!home. ‘adding my wishes for speedy recovery and minimal pain in the process! Re: your Macbook Air, how are you using this? Is it powerful enough to use for Lightroom editing on the road or do you wait until you are home for editing? I’ve just started After the Camera (hooray and thanks!) and in video 2 you are plugged into your iMac. ‘apologies for asking this Q if you have addressed using the Air on the road; please link me to a previous answer if one is out there.